Consistently rated as one of New Zealand’s top passes. You’ll travel in a smaller intimate group around untouched beaches and be immersed in everyday Maori culture. You’ll be the first to see the sun, experience unique horse and stingray encounters like never before. 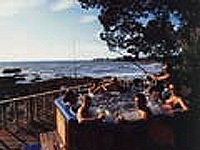 Kiwi Experience is the only operator to offer an East Cape trip all year round to small groups of backpackers.